Excellent quality tags with great attention to detail. Fast service and you can’t beat the shipping. 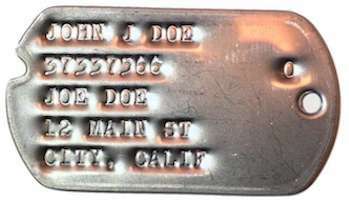 Excellent dog tags. I am very happy to have purchased from here. Took 2 weeks on the dot to order/receive my dog tags. I LOVE THEM! Worth every penny! fast turnaround. neat item. thank you for quick delivery. Made Vets Grand daughter very happy, being a Vet myself I have the most admiration for the attention to detail taken to achieve perfection, Thank You for great product. Great customer service and attention to detail. 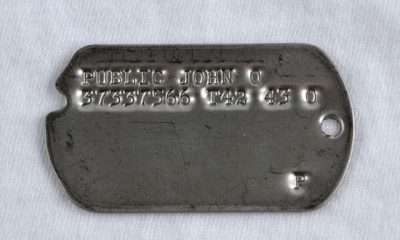 After reviewing my order they discovered that I ordered the wrong type of tags for the years my dad served in WWII. Explained to me what type I should’ve ordered and created the perfect keepsake that I will treasure always. Thank you for your outstanding work. God Bless. Excellent quality. Fast shipping. Would recommend to anyone. Great job on tags, looks like the originals. Done to perfection and exactly what I was looking for. Excellent price and fast shipping too! 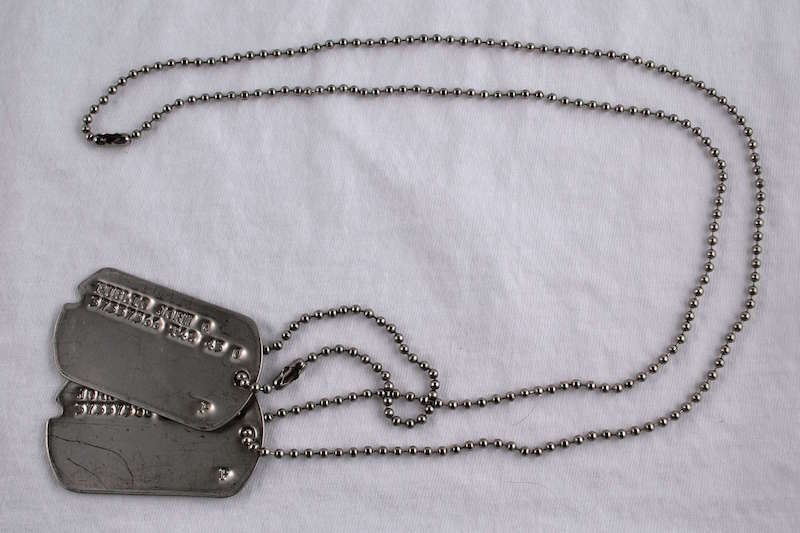 My grandpa is a WWII vet and my uncle has his original dog tags. I was ecstatic when I found this website so I could get a duplicate copy for my shadow box that I’m making with other memorabilia he gave me from his WWII deployment. 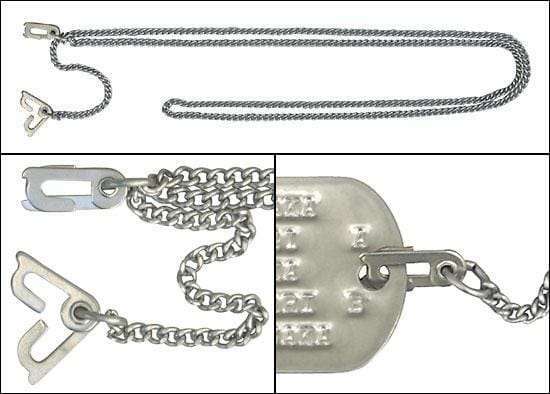 Thank you Lance and wwiidogtags.com!!! Once I finish my shadow box, I’ll be back for more to make for my siblings. Excellent quality and great service as always! Never disappointed. Perfect gift for film crews, big and small. Excellent product, great to deal with, super fast shipping. I would recommend him to anybody. You will not be disappointed. Website was easy to use and the fact that we were able to order tags with the proper info from the time frame. They shipped in a timely manner and tracking was a breeze. Perfectly accurate reproduction. Happily replaced a vintage tag. keeping.I’ll wear the new one to memorialize my Dad! Faithful replica of the original tags. The font and spacing appears to be identical. I just hope that these new tags will tarnish is a similar way as the original.